Millennials (individuals born between 1980 – 2000), have not only surpassed Baby Boomers as the United States’ largest living generation, they have also caught up to the Boomers when it comes to their ability to vote for, and influence, the American electorate. According to research from the Pew Charitable Trust, both generations now comprise roughly 31 percent of the voting-eligible population. 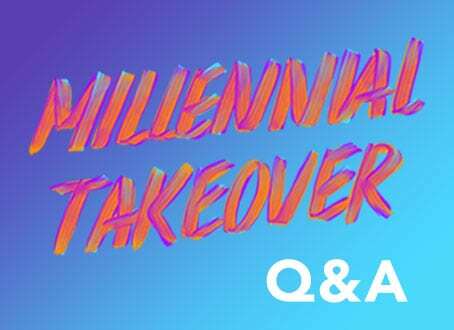 And so, as we head into the U.S. Presidential election next month, the Millennial generation is in a position to make a significant impact—on the issues they care about and on who becomes the next President of the United States. Will they use that power to vote on November 8th? And looking longer term, how might this election year change or impact how the Millennial generation engages with issues and causes? The Case Foundation, in partnership with Achieve, set out to find the answer to those questions through the 2016 Millennial Impact Report—a three phased survey looking at how/if Millennial attitudes and behaviors related to cause engagement change over the course of a Presidential election year. Today, Achieve released the second wave of data (learn more about the first wave) and the findings. While not definitive at this stage of the research, there are some surprising findings that will shape how we think about Millennial engagement and voting patterns. While the number of supporters of Hillary Clinton increased from June to August, so did the number of Millennials choosing neither major party candidate or not to vote at all. Millennials who self-identify as having a “neutral” political ideology increased from Wave One to Wave Two. Education and health care remained the first- and second-highest social issues of interest for Millennials, but employment/wages edged out the economy as the third-highest issue of interest. More Millennials continue to self-identify as conservative-leaning than as liberal-leaning. Millennials still consider themselves activists, but without showing a strong affinity for direct action in support of or opposition to an issue. Slightly fewer Millennials believe people like them can help make the United States a better place to live, with the biggest drop seen among females. Millennials continue to have some level of trust in government to do what is right, though the majority don’t rate that trust as high. In the last month, males continued at about the same rate—around half—to participate in an activity related to a social issue about which they cared. Facebook is still the most popular social media platform on which Millennials post about issues they care for, and the majority of Millennials had posted about an issue on social media in the past week. From June to August, support for Hillary Clinton and Donald Trump by Millennial respondents increased, with the largest shift going to Clinton. The number of respondents planning to vote in the Presidential election decreased to its lowest point since the study began. Indeed, with one more wave of data to come—collected just after the November election and released in early 2017—as well as in-depth interviews with select respondents, there is more to explore. And, true to our own Be Fearless principles, we are always ready, willing and able to challenge our assumptions and question new findings—and hope you will too. Ultimately, these trends may help us to better understand the evolving Millennial mindset in today’s political landscape; spark conversation, debate and inquiry; and help to inform leaders and organizations who want to unleash this generation’s ability to foster change for years to come. We are eagerly anticipating the final report in early 2017 and discussing the lessons learned for Millennial engagement. Be sure to check out the full report for more information and details. Over the last six years, in partnership with Achieve, we have studied, listened to and engaged with more than 75,000 members of the Millennial generation to better understand their involvement with cause engagement. To check out the latest findings, past reports and hear about the newest research, visit themillennialimpact.com.